the WAVE meeting yesterday was interesting, but left me with just 7 hours to empty my suitcase and get ready for yet another flight – this time to the middle east: tel aviv. 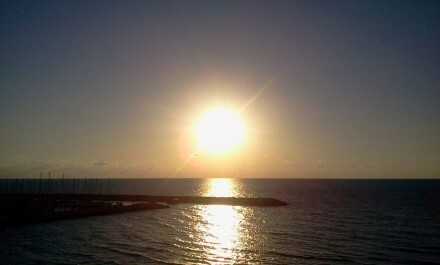 after 4 hours flight i arrive in tel aviv early afternoon and am greeted with 30°C and sunshine – a very welcome change to the cool autumn weather we’ve been having lately. everytime i travel to a country far away, i very quickly miss the freedom (…and attention) the TWIKE offers. this time it is different, however. 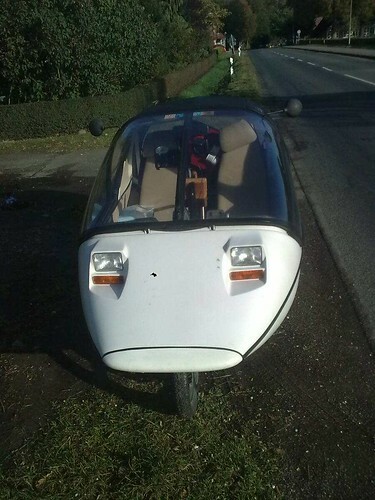 i’ll be without the TWIKE until end of november! 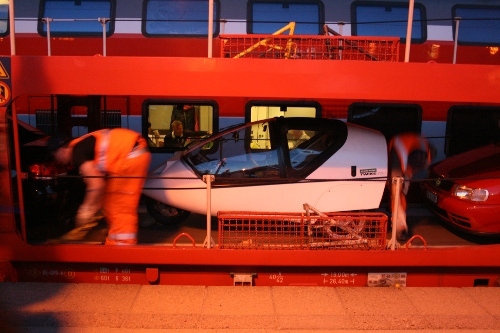 after an utterly uneventful night, the TWIKE arrives with jean-claude in hamburg and he drives it to bremen with one quick 3-phase charge. this must have been the planned quick charge. 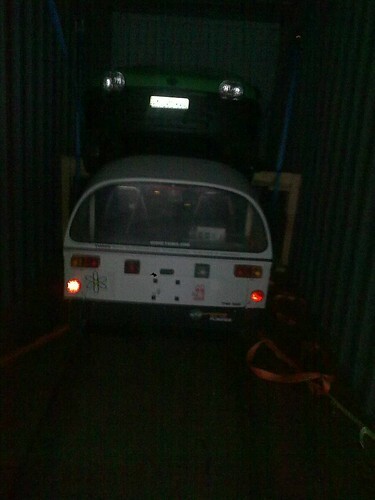 A last charge and then, with one day delay, the TWIKE is loaded into a container with all other WAVE ev’s. i’m really happy jean-claude has the time to take care of this! otherwise i would not have been able to make this happen. 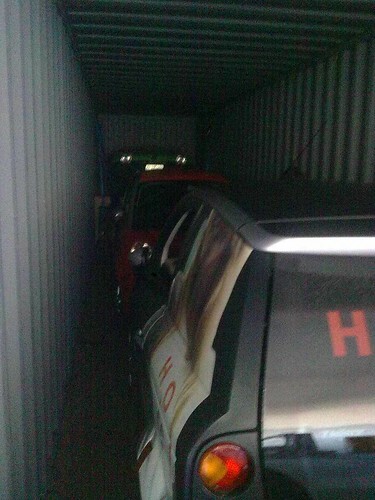 the container did not offer enough space for all vehicles. 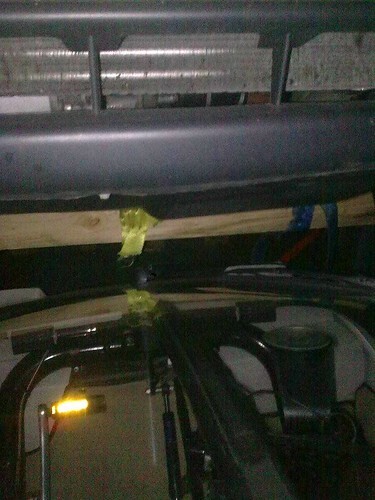 therefore, the clio had to be raised and fastenedastened inclined. 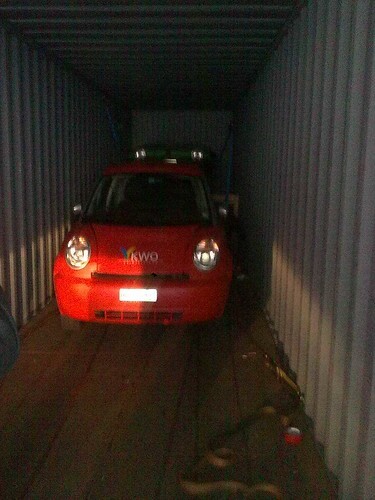 a snug fit > the TWIKE fits into the container at a few centimeters’ distance to the wooden support. the container is then closed and jean-claude makes his way back to switzerland. 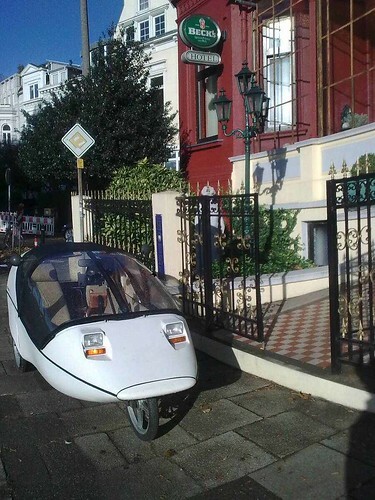 from now on, the TWIKE can be tracked here.